Saipanpreneur of the Week: Willie L. Brundidge Jr.
Today’s featured Saipanpreneur is Willie Brundidge Jr., owner of Mozell’s Boys Lawn Care and Trash Collection in Kagman. 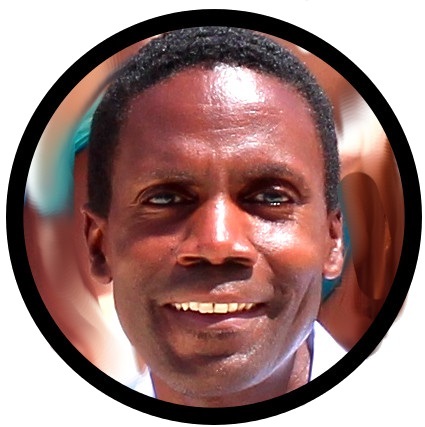 Willie’s personal story is an inspiring tale of determination and triumph. Born in Tuskegee, Alabama, Willie joined the Navy in 1977 right after high school. It was his military tour that, in 1980, took him to Guam. After serving for five years, he decided not to reenlist and was honorably discharged in 1982. He attended Guam Community College for two years, and worked many different jobs there until 1993. 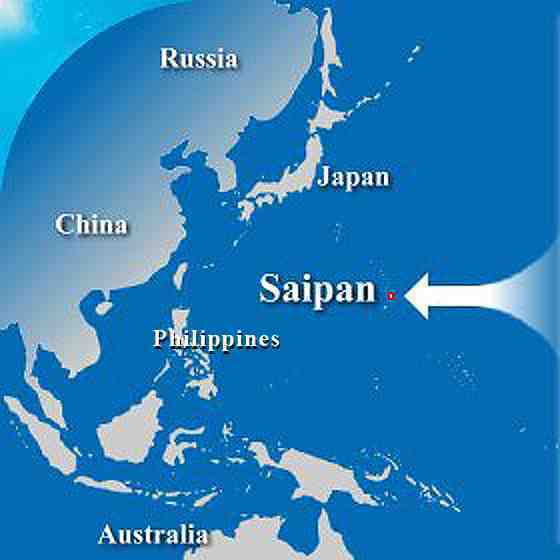 SO, HOW DID YOU END UP ON SAIPAN? While I was living in Guam, I met some people from Saipan who told me about the island. So actually I first came to Saipan in 1990 for a few days. In 1993, my plan was to come to Saipan for a year to regroup, get away from the hustle and bustle of Guam, get a fresh start, and then return to Guam. That was the original plan. When I came in 1993, I actually slept on the beach for a month! I didn’t know anyone at that time and I didn’t want to ask for help, not knowing whom to approach. I could speak some Japanese because I worked at the beach interacting with tourists in Guam. So I was hired by Ben & Ki Marine Sports as a marine sports assistant (I would like to thank them dearly). From there I was able to take care of myself and could start putting my life together. The owner gave me a room to stay, and after I worked there for a year, I decided it was time for a change and to get a different job. I met my girlfriend, now my wife, Yumiko here on Saipan in 1994. DID YOU ALWAYS KNOW YOU WANTED TO OWN YOUR OWN BUSINESS? No, but I’ve always been a motivated worker and I like to learn new things. And I always felt there were some supervisors I worked for during my life who I could do a better job than. SO WHEN DID YOU START THINKING ABOUT DOING THINGS DIFFERENTLY? Well, in 1998 I stopped drinking alcohol. Up until that time, I had been getting in trouble for DUI (driving under the influence) and things like that. After my last DUI, I had to go to court. Judge Manibusan was the presiding judge at that time and he looked me in the eyes and said, ‘You go and get help.’ To me it felt like that judge really cared and wholeheartedly meant what he said to me. Those words he said to me are still in my head today, every time I see that judge, I tell him thank you. The court ordered me to attend alcohol counseling and that, along with my own desire to change, helped me turn my life around. I give credit to Chris Sablan, my counselor at the Community Guidance Center for being there for me. I couldn’t see clearly, couldn’t get any sense of real direction. But, by being educated about what alcohol does to some people, I was able to think twice about my life and ask myself where do I want to go and where do I want to fit in society. I was determined to be a better person and make something of myself in life. I had a nice girlfriend at the time. I had to take care of myself, for if I didn’t take care of myself, I couldn’t take care of my girlfriend. I really was motivated. I had stopped drinking for 6 or 8 months, and I would go out every day after counseling to put in applications for jobs. I was so motivated that I would put in at least three or four applications every day at least four days every week. I figured eventually somebody would call me. And they did! I got called in by Joeten Ace Hardware for an interview and was hired as a warehouse worker making $3.40/hour at that time. Now I felt that my military experience, my job background, and the quality of my service was worth more than $3.40/hour, but there was no raise in sight. Don’t get me wrong, it was a good company to work for, but I felt it was time to take a step up in life, and I knew I couldn’t get a good job or a better position if I didn’t have some type of degree. So I decided to go back to college to attain my associate degree. HOW DID YOU GET THE IDEA FOR A LAWN CARE AS A BUSINESS? The apartment I was living at the time didn’t have a regular maintenance person. The grass would get very long before the landlord would cut it. I always wanted to see my surroundings looking nice and presentable. And being in the military taught me how to keep things clean and in order. My mother taught my brothers and me how to clean house and clean the yard. And I’m from the country, I don’t mind doing outside work. So, I was always cutting the grass and fixing things around that apartment and it dawned on me that I could make money doing that! So I made a deal with the landlady to cut the yard and she paid me $50 a month. WHEN DID YOU ACTUALLY MAKE THE MOVE TO START A BUSINESS? I was majoring in Business Management at NMC. I felt at this point that I was qualified for higher level positions. I’m the type of person who likes to make decisions as quickly as possible. And I believe there’s an order in the way things should be done. Working from age 18 to 40, it was time to make my own decisions, so I decided to try my hand at my own business. Even though counseling was over, I was still staying in touch with Chris [Sablan]. He inspired me since he also had his own business. And how he came to be a counselor was a remarkable story in itself. Fifty percent of my inspiration came from him. I still give him credit to this day for that. Even after the counseling was over, I could always rely on him for solid advice so I could follow in his footsteps. So I did a little research into what it takes to be an entrepreneur, and what to expect and decided to give it a shot. So in July 2000, I applied for my business license for Lawn Care, got a small loan from the CDA [Commonwealth Development Authority]; bought three bush cutters and one lawn mower; hired three employees; made some business cards on my computer and within six months many people knew I was doing grass cutting and hired me. Later I included garbage collecting to increase business revenue and grow the business. YOU NAMED YOUR COMPANY MOZELL’S BOYS. WHO IS MOZELL? [Laughs] Well, I usually keep it a secret when people ask who or what is “Mozell,” but Mozell is my mother’s name. I wanted to give tribute to my mother because she did her best and overcame many obstacles as a divorced mom to raise her three sons, boys. She also went through a rough childhood, but she became a pastor. If my mom could change her life and become a better person, then I should be able to do it also. So I named the company "Mozell’s boys" to honor my mother, my two brothers and myself. That pretty much sums up our family. My mom was very happy when she heard I had named the business after her. I hope someday soon to bring her out to Saipan so everyone can finally see who’s Mozell! That’s a dream of mine even though she doesn’t like flying! WHAT’S THE BEST THING ABOUT BEING AN ENTREPRENEUR ON SAIPAN? When I was going through difficult times, a lot of individuals on Saipan helped me when I needed help—especially people like Chris who didn’t count me out, people like Joe Hill and the Marianas Repair Shop, who were my first lawn care customers, were very supportive. The people of the CNMI gave me a chance, and my business is a way of giving something back to the community. I like to give chances too and hire others no one else gives chances to. I also try to show my appreciation in the service I offer. When I do a job, the customer is always satisfied, even if we have to do the job twice. It’s that commitment to customer service that I instill in my crew. ANY WORDS OF ENCOURAGEMENT FOR OTHER SAIPANPRENEURS? In May 2002, I graduated from NMC with my associate degree in Business Management. It took me two years. Seven years after coming to Saipan, I started my own business and 13 years later I feel like I’m contributing something to the community. Yes, it took time, but time is gonna pass whether we do something with our lives or not. So better pass the time striving than time passed doing nothing. I want to be an example for those who are still struggling to overcome problems and motivate them to work toward what they want to be in life. If there’s a will there’s a way. Mozell’s Boys Lawn Care’s offiice is located in Kagman 3. With contracts from government agencies, as well as commercial and residential customers, no job is too big or too small. Contact Mozell’s Boys at (670) 256 2045.